As we continue to move forward in our efforts to learn how to become UnCommon Leaders we’ll address an area that trips up a lot of people. We’ll now leverage our conversation in a previous WI about critical communication skills and address one of the major issues with regard to communication – conflict resolution. Some of you just recoiled by merely reading the word conflict because of how this has played out in your life! What if I told you that reaction is normal? When we look at our brain and understand its number one job is to focus on danger and keep us alive, (fight or flight) then it makes total sense that people do not like conflict. If that’s true, then why do some people appear to love conflict and actually thrive on it? Learned behavior! The very thing that the Weekly Intention is addressing (acquiring skills and talent through an intentional focused effort) is why it appears that some people actually seek out conflict. Here’s a question – when you hear the word CONFLICT what is the first thing that comes to your mind? Are these thoughts positive or negative? This is a very simple check in to determine your normal reaction to conflict. For some people that I’ve asked this question in coaching groups I hear words like “fight,” “tension,” “screaming and yelling,” and for others I hear “fun,” “opportunity,” and even “let’s get it on!” Stark contrasts, but when explored further, these were all learned reactions based on their familial and environmental upbringing. One person I know who hates conflict was bullied and teased growing up. Another came from a family where the parents yelled and screamed a lot. On the other side, I’ve heard stories of parents that led active debates at dinner every night. Meal time became the time when everyone brought their best conflict management skills because Dad and/or Mom led an active debate on topics of the day. And, pity the poor child who came unprepared to defend their opinions! In fact, this is Carly Fiorina, the former HP CEO’s story. She credits this with her ability to deal with and thrive in conflict situations. If you’ve been reading and following the UnCommon Leadership blogs, you know that the Birkman is the foundational assessment that I use in all of my coaching and leadership consulting work. The Birkman can tell us with a high degree of accuracy who loves conflict and who will shut down and even run from conflict. It’s very accurate in helping diagnose and resolve issues, especially when those two people I just described before have to work along side each other. It is quite possible to take the information from the Birkman assessment and very reliably map to the Thomas-Kilman model of Conflict Resolution. These two psychologists mapped five options with regard to conflict on an x/y axis of concern for self and concerns for others. The five options are as follows; 1) Competing/Aggressive, 2) Accommodating, 3) Avoiding, and 4) Compromising and 5) Collaboration. Without the benefit of the TKI (Thomas-Kilman Instrument which I will provide a link to at the end) most of us could probably look at those word descriptions and pick their most likely dominate category. The instrument’s output tracks your answers on a 100% scale though for better understanding of the dominate trait and combinations that you may use. Using a combination of the TKI and the Birkman output it would be very easy to lead a team in conflict management and resolution training to maximize the strengths and gaps. I would need nothing else but these two instruments and a team committed to the process to create a high performing team! For now, let’s get back to you. What if you hate conflict and avoid it at all costs? How do you begin to move toward embracing conflict and acquiring skills where this is no longer a major deficit for you? It starts with your beliefs about conflict. Recognize, as we discussed in early February, that you have beliefs that drive your behavior. My friend Peter Meyers, who was our guest blogger on 2/27/13, uses the TSA metaphor – “did you pack your bags?” Meaning, did you develop your beliefs totally on your own or were they packed by your upbringing without any thought about the fact that you can change the contents anytime that you choose? What would happen if you were to reframe the word conflict as a positive? What if you saw each transaction that appears as conflict as opportunity to express your opinions? Ed, is it that simple? Yes and no. It starts with that simple reframing and then you must seek out and embrace opportunities to practice the new reframe and develop the support system for the new belief. Here’s an example of how we accomplished this when I coached the President of a company. I also worked with his team several times, but in our one to one coaching we focused on his conflict avoidance issues and his strong reaction that shut down further communication. I received his permission that when we worked as a team the next time, and his behavior started to manifest as it always did when he was challenged and people disagreed, I would bring it out in the open for a discussion on how to resolve the issue. Long story, but here’s the punch line. After a lively discussion with the team, we agreed on a tactic that would be used by individuals on the team to help the leader recognize he had just switched into attack mode and had shut down conversation. The tactic was a simple statement by any member of the team – “Ed, I think we need to DIALOGUE about that topic some more.” The word Dialogue became the “rubber band” on the wrist of the leader trying to create a new habit or pattern. It was the “snap” for him to recognize what had just happened. We also discussed one to one about how he was to change his physiology, expressions and breathing in order to get back into a positive state. I came back six months later and witnessed the transformation in how the team was now operating compared to before. There had been major progress made by the leader and the team. Practice, a support system to help him be more self-aware and tactics and strategy led to growth in the leader in handling conflict. This same process will work for you too! There’s another point to this story that I hope you caught and it has to do with being an UnCommon Leader. What was the leader willing to do? He allowed himself to be vulnerable with his team and let them know of his commitment and dedication to being the best leader he could be. Total transparency was needed and he was willing to go there. Are you? Some people think leaders should never be totally vulnerable and transparent. I believe the very opposite. After all, we are all the same species right? We’re humans with faults and failures accompanied by tremendous potential and power. Modeling vulnerability and transparency can go a long way toward your becoming an UnCommon Leader. 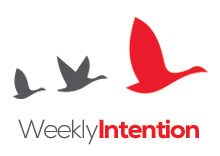 In this Weekly Intention I intentionally focused on people who hate conflict. What about people who love and thrive on conflict? That is next week’s Weekly Intention! Your challenge now is to apply the ARIA model to resolving your dislike for conflict and moving toward embracing conflict as a positive! If you’re not familiar with the ARIA model then go back to some of the early WI’s to discover this process.